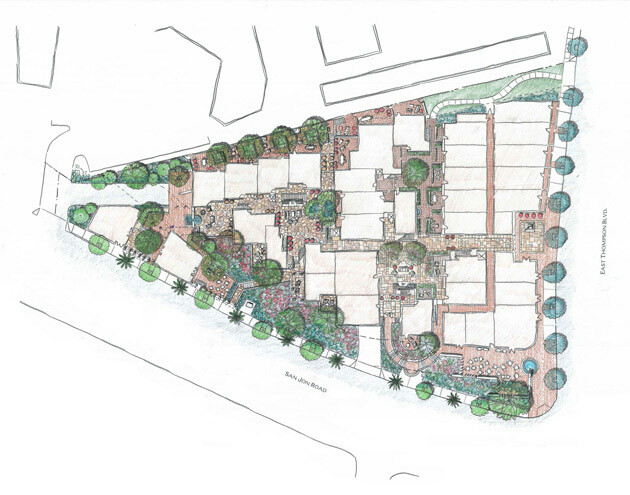 This nearly two-acre mixed-use development is situated on the eastern edge of downtown Ventura, California in a revitalizing district. The gently sloping and unique triangular site accommodates a mix of retail and residential uses, offers ocean and mountain views and is within walking distance of the beach. 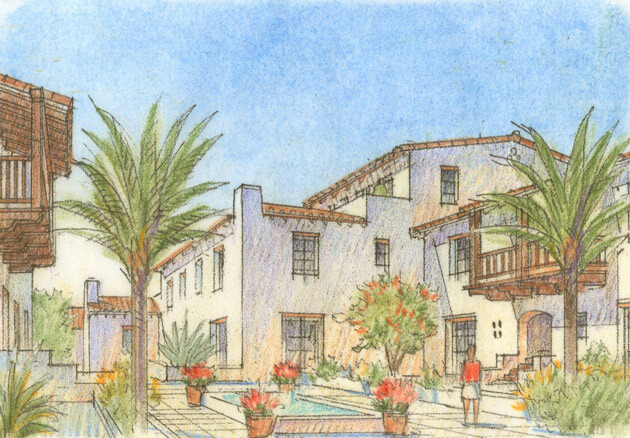 Featuring a series of lush and connected courtyards, the architectural vocabulary includes traditional brick and Mediterranean-influenced elements that recall Ventura's traditional urbanism and historic importance as the home of a California mission. 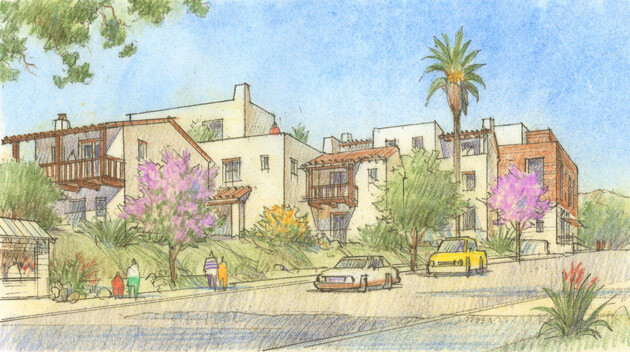 Variations in the building’s masses and stepped forms suggest the scale of separate buildings, which enables the project to accommodate 57 condominium units and 7,000 square feet of retail space while referencing local architectural character. Included are retail, live-work lofts and residential flats and townhouses, all served with linked subterranean parking. The diverse housing and commercial types provide a logical transition to the existing neighborhood, reinforcing the connection between the town and the waterfront.